Yesterday we drove around Noord Holland and visited some nature preserves along the North Sea coastline, here in the Netherlands. It was a beautifully sunny day. 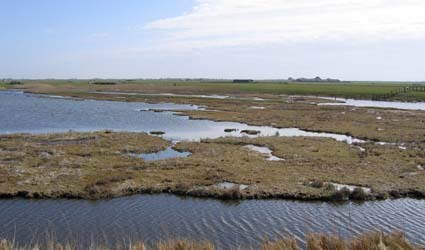 Right along the long dike, just north of the small town of Groet, lies De Putten, a series of small islands in undeep ponds where migratory birds often stop to rest and feed on little shrimps. 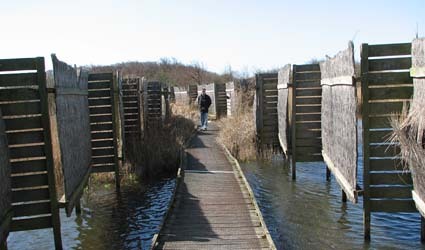 The area is owned by Natuurmonumenten and is part of the Harger- en Pettemerpolder. 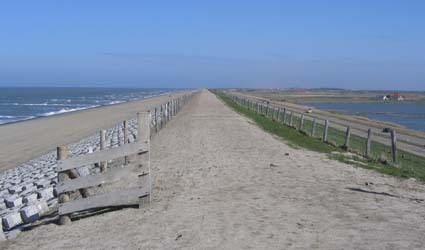 Here we are standing on the dike, with the North Sea on the left, and the Harger- en Pettemerpolder on the right. It was very windy. 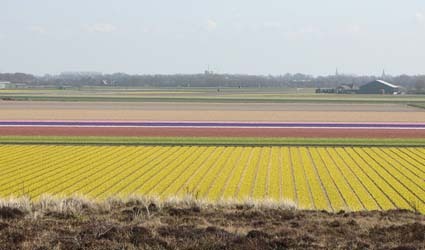 This view of colorful tulip fields is taken from a mount at Zwanenwater, another Natuurmonumenten-owned nature preserve between the dunes near Callantoog. We (probably) saw a colony of breeding spoonbill on an island far away (but too far to make out, really), and many other birds, including two bar-headed geese. Here we are at the floating bird-hide at Zwanenwater. In the afternoon we drove north toward Den Helder at the most northern mainland tip of Noord Holland, where we had a short stop to have a glimpse at the Waddenzee, and at Balgzand in particular. 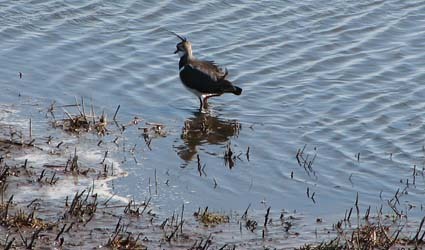 This is a photo of a lapwing (or ‘kieviet’ in Dutch). 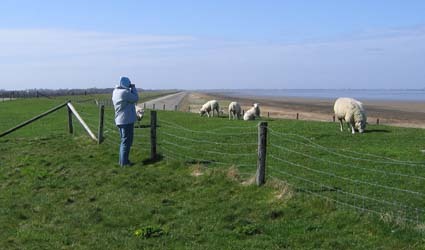 On the dike looking over Balgzand there was a herd of sheep with some cute lambs. This entry was posted on Tuesday, April 18th, 2006 at 8:00 pm CET and is filed under Life in Holland, Nature, Personal	with tags . You can follow any responses to this entry through the RSS 2.0 feed. You can leave a response, or trackback from your own site.